Get on-demand homework help online! Could your child benefit from some extra help with writing? Do you struggle with helping your child with math because they teach kids to solve math problems differently than when you were in school? 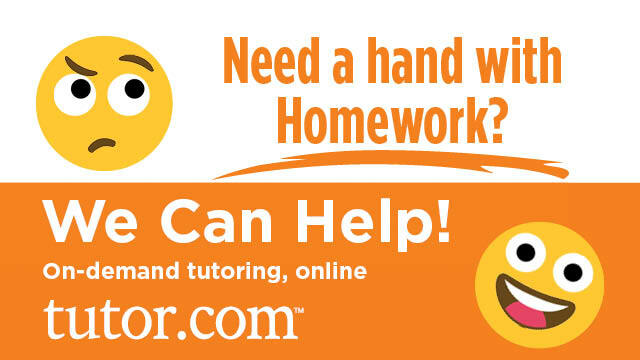 Get on-demand online tutoring for your child every day from 2 PM to 9 PM with Tutor.com—free with your library card!